See my completed drawings over several years here! All works are digital art unless otherwise stated. 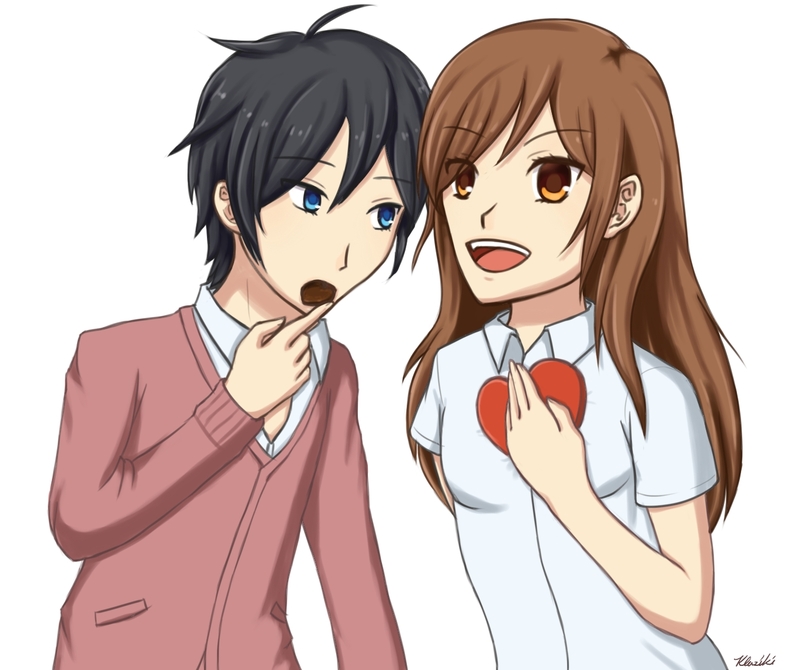 Hori-san and Miyamura-kun from the manga Horimiya. Drawn with PaintTool SAI in 2019. 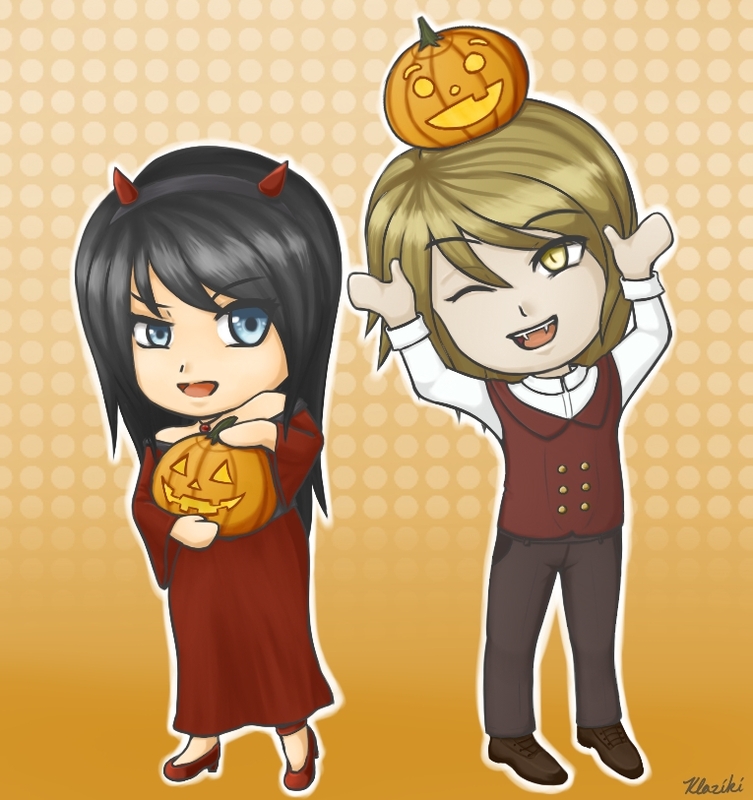 Melanie and Alexander from my original kinetic visual novel, The Vampire's Memories. Drawn with PaintTool SAI in 2018. 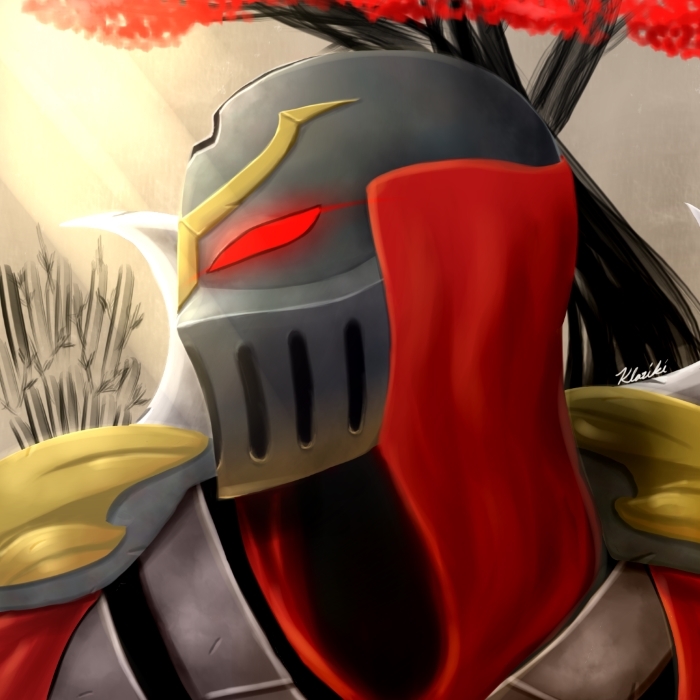 Zed from League of Legends. Drawn with PaintTool SAI in 2016. 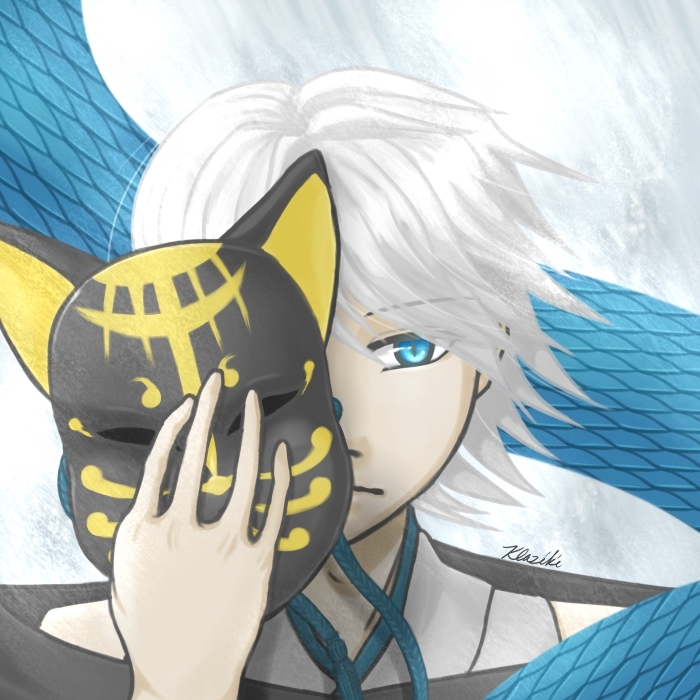 Fuyukiku from NTT Solmare's Destiny Ninja 2. Drawn with PaintTool SAI in 2016. 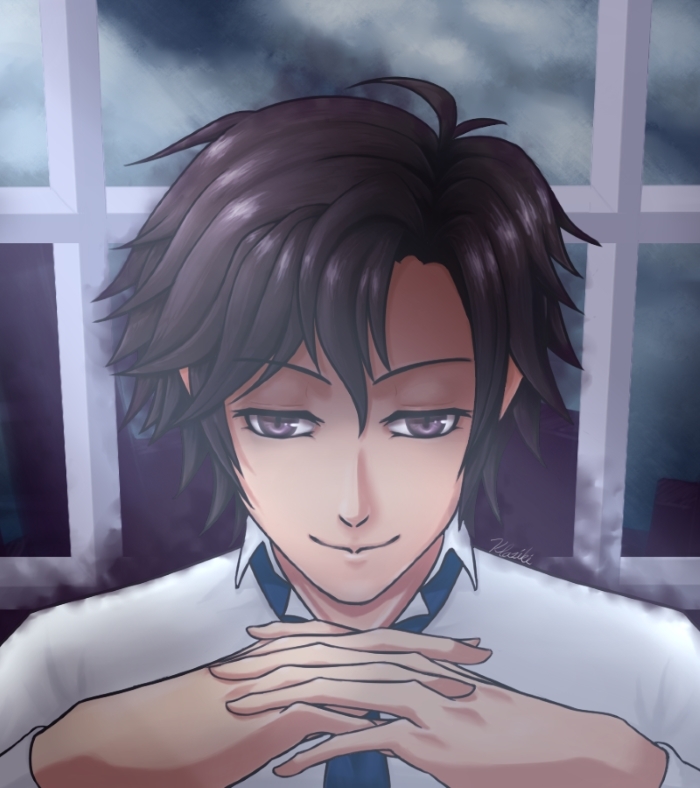 Jumin Han from Cheritz's Mystic Messenger. Drawn with PaintTool SAI in 2016. 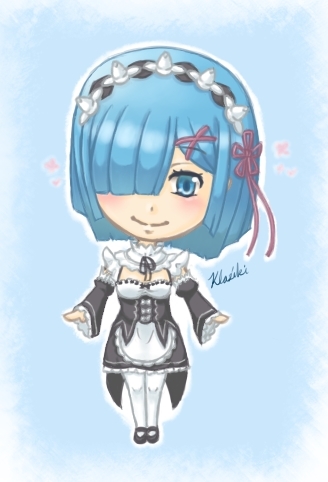 Rem from Re:Zero drawn in a chibi style. Drawn with PaintTool SAI in 2016. 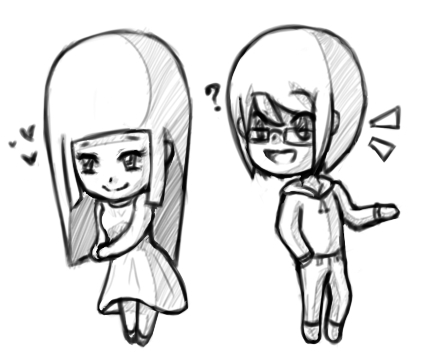 Two unnamed chibi original characters. Drawn with PaintTool SAI in 2016. 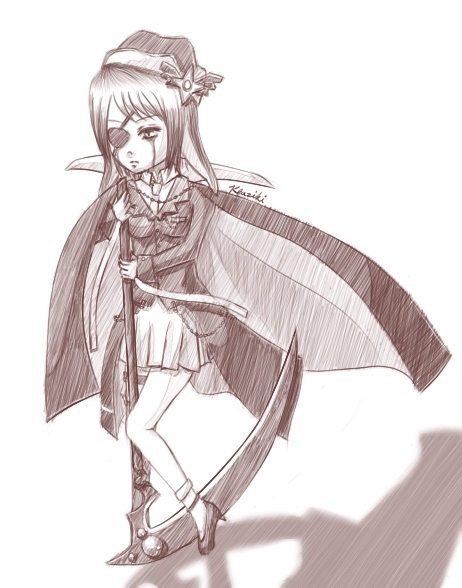 Elise from League of Legends in an original winter-themed outfit. Drawn with PaintTool SAI in 2014. 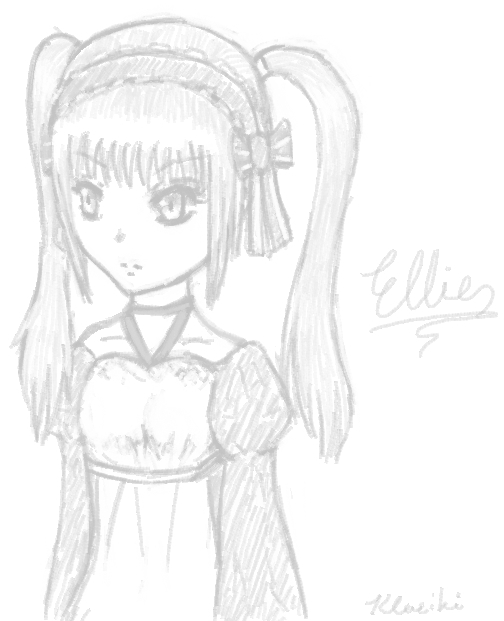 Ellie, original character from October Children. Drawn with MS Paint in 2014. 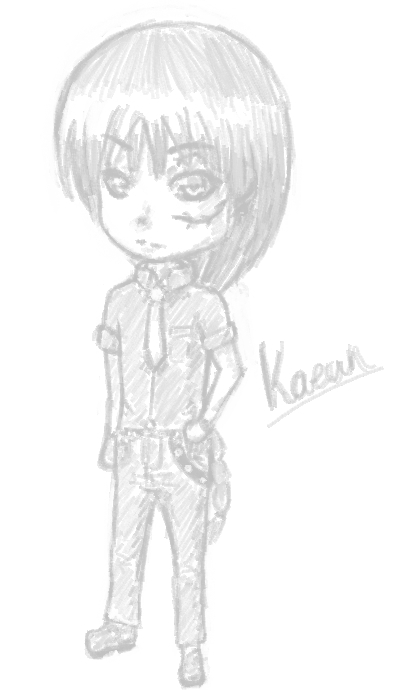 Kaeun, original character from Freezing. Drawn with MS Paint in 2014. 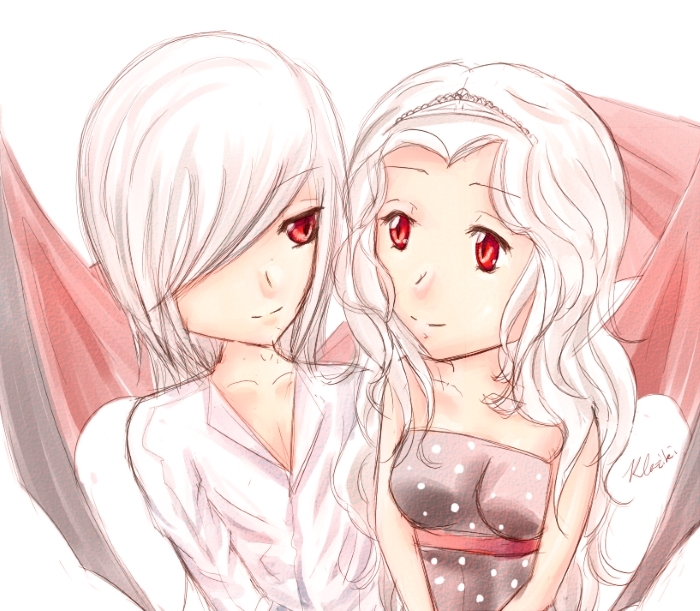 Rae and Jasmine, two original character from Demonic Wings/Scarlet Chains. Drawn with MS Paint in 2014. 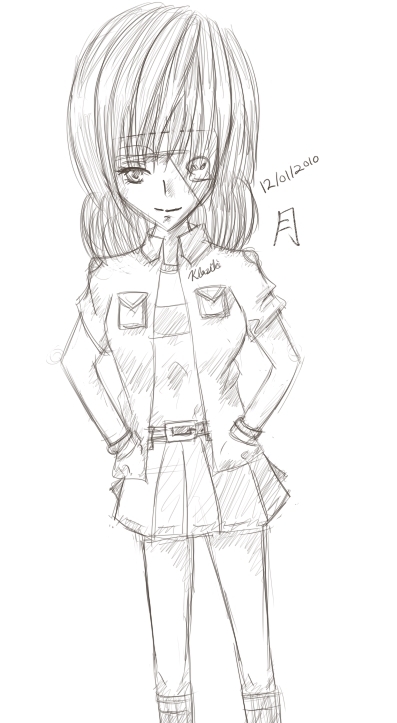 Rosellia, an original character meant to appear in October Children. 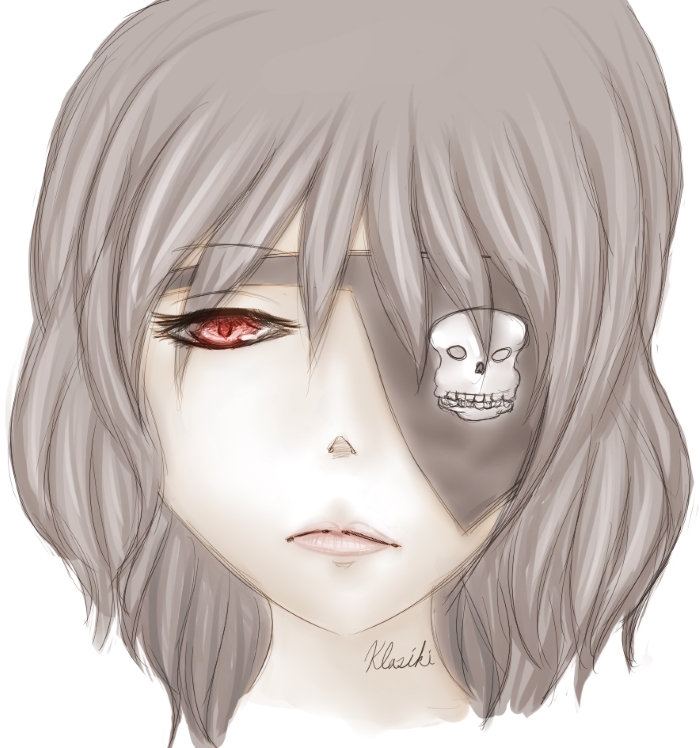 Drawn with PaintTool SAI in 2013. 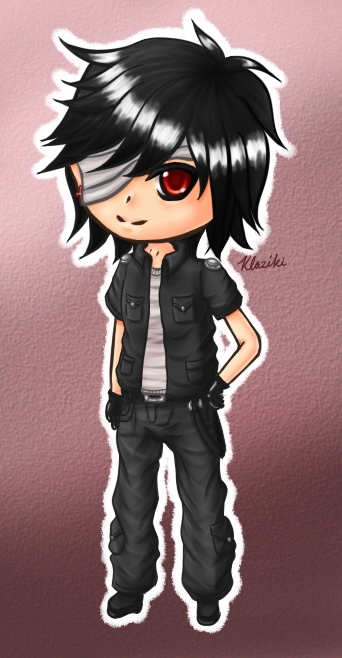 Livan, from Zeiva's Area-X. Drawn with PaintTool SAI in 2013. Belph, from Zeiva's Area-X. Drawn with PaintTool SAI in 2013. Julius Monrey, from QuinRose's Alice in the Country of Hearts. 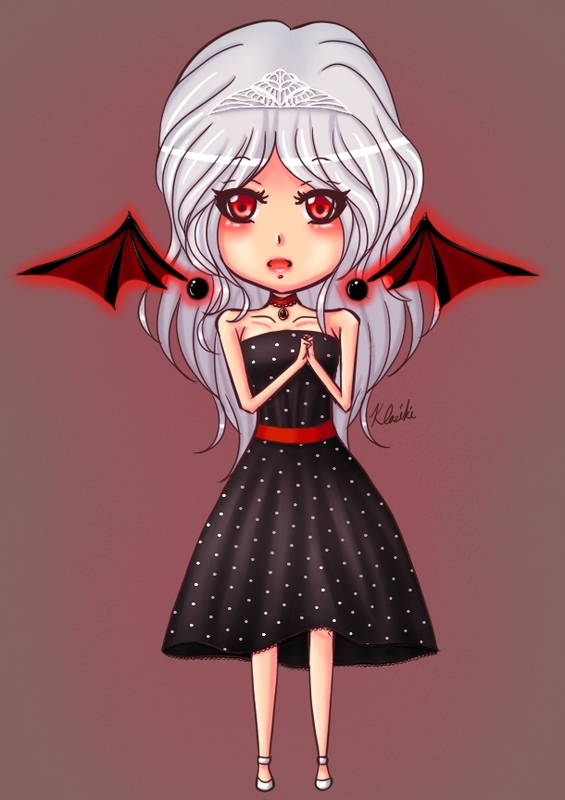 Drawn with PaintTool SAI in 2013. 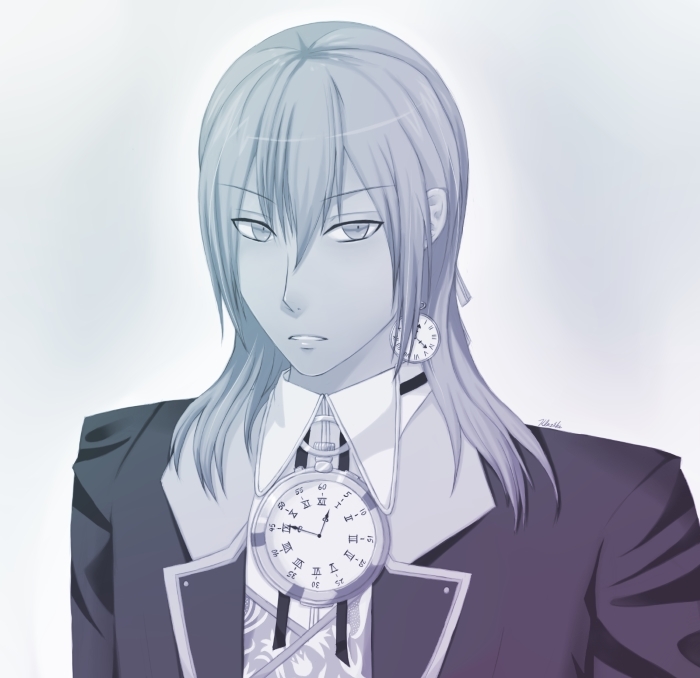 Sidney Black, from QuinRose's Alice in the Country of Diamonds. Drawn with PaintTool SAI in 2013. A friend's character, Hiro/Turtlebear. Drawn with PaintTool SAI in 2013. 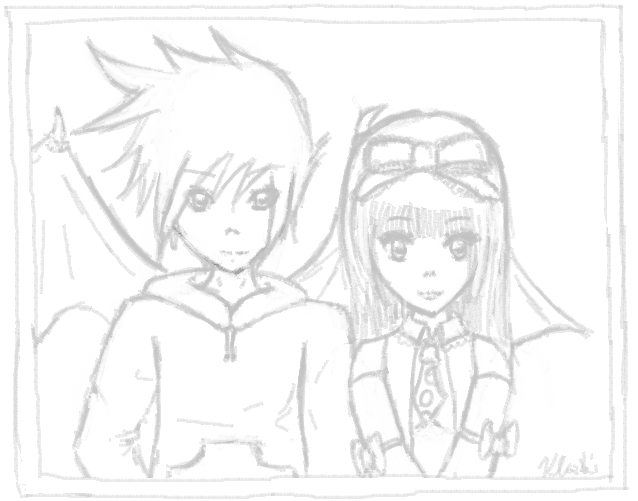 Rae and Saik, original characters from Demonic Wings/Scarlet Chains. 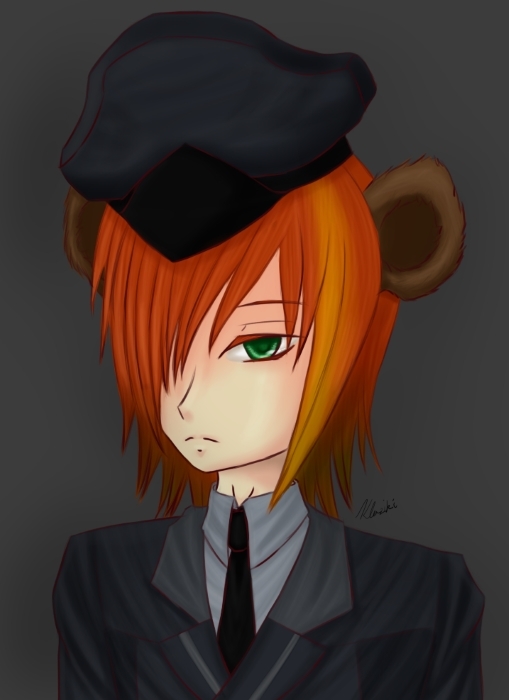 Drawn with PaintTool SAI in 2012. 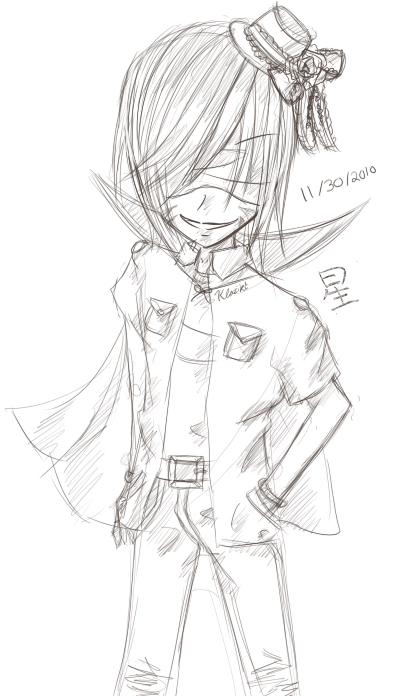 Taiyou, an original character from October Children. Drawn with PaintTool SAI in 2012. Some original side characters from October Children. Drawn with PaintTool SAI in 2012. 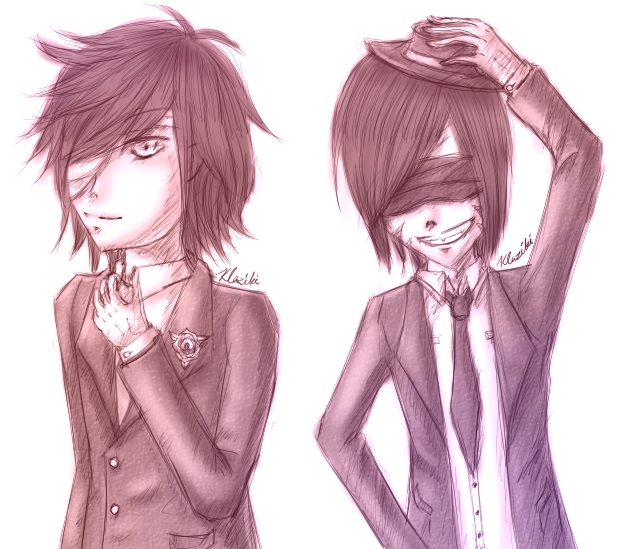 Taiyou and Hoshi, two original characters from October Children in suits. Drawn with PaintTool SAI in 2012. 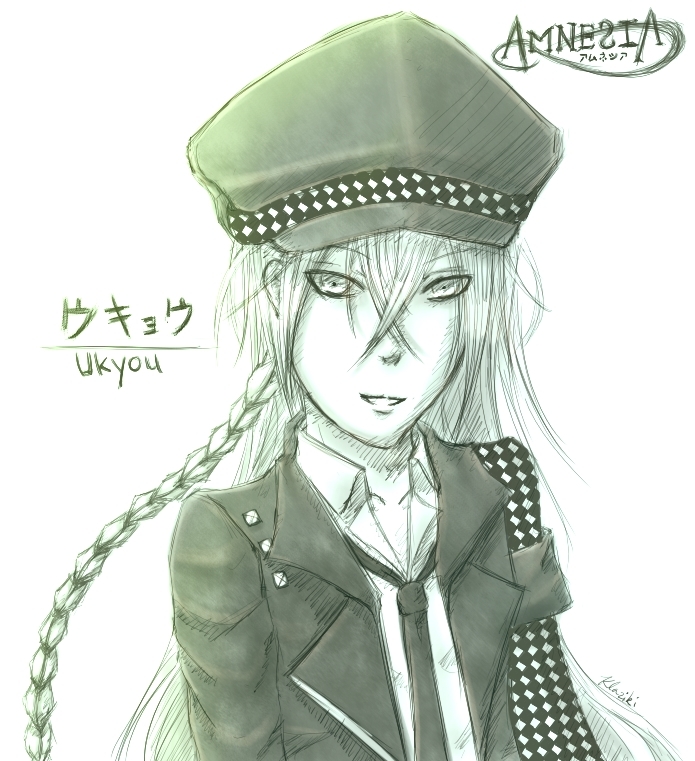 Ukyou from Idea Factory's Amnesia: Memories. Drawn with PaintTool SAI in 2012. 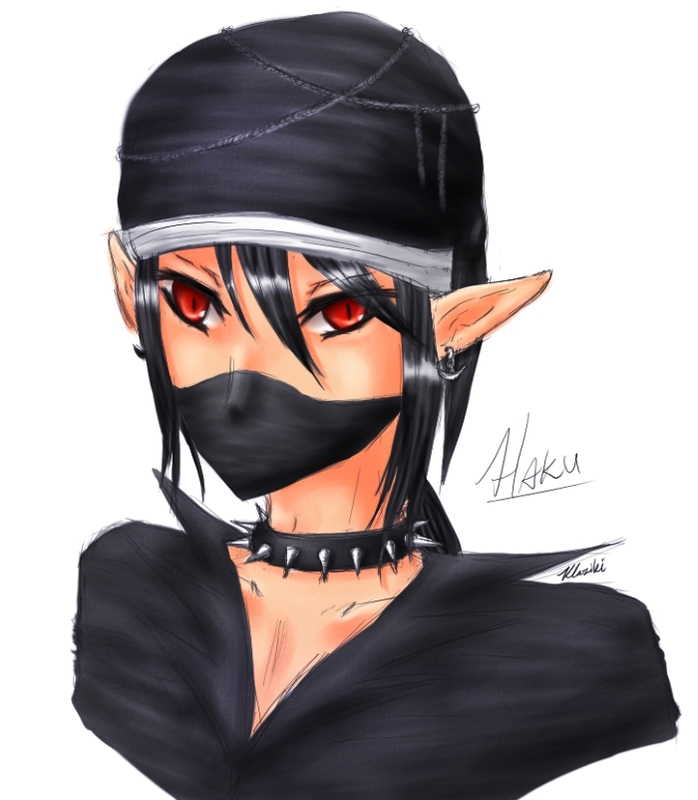 Haku, original character from October Children. Drawn with PaintTool SAI in 2012. 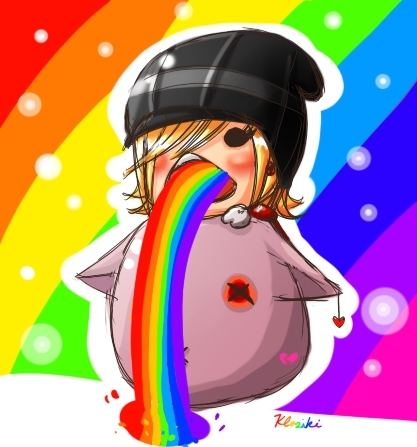 My old avatar. 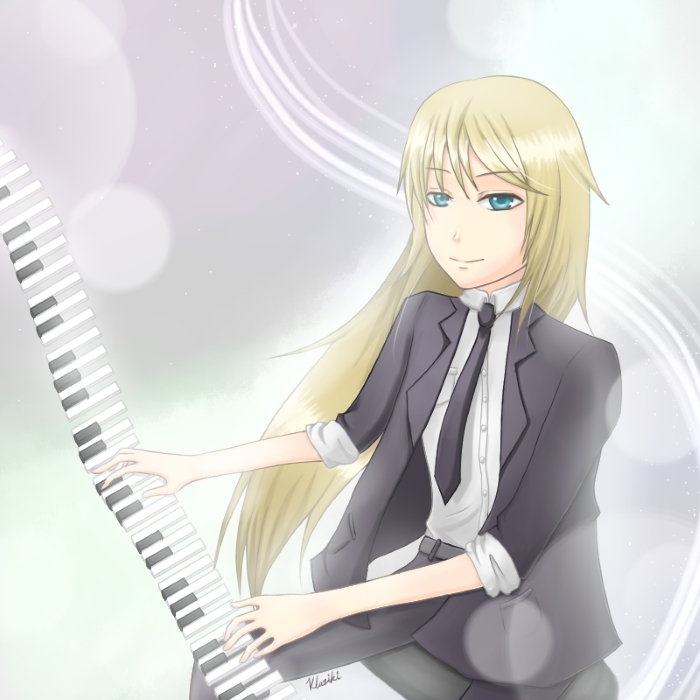 Drawn with PaintTool SAI in 2012. My old character in a different outfit. Drawn with PaintTool SAI in 2012. 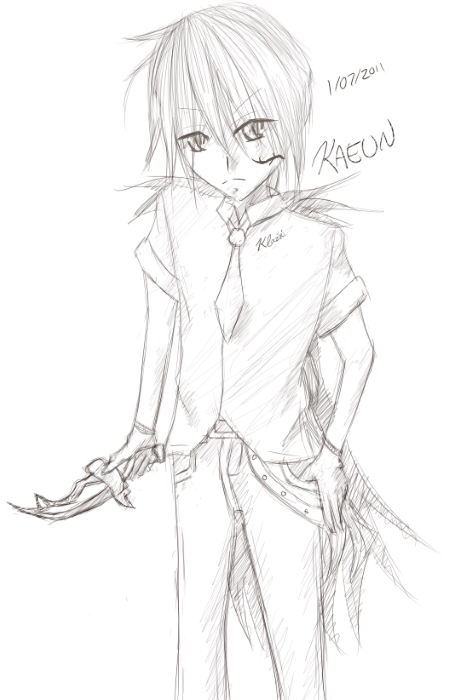 Reiya, original character from Demonic Wings/Scarlet Chains. Drawn with PaintTool SAI in 2012. A friend's character. Drawn with PaintTool SAI in 2011. 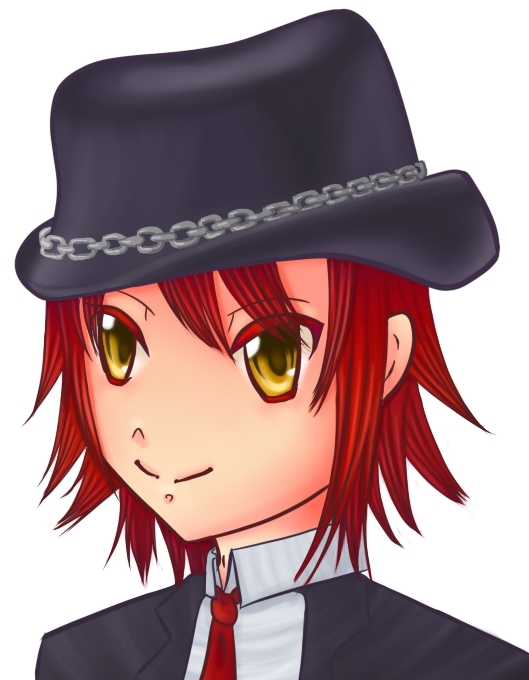 Tristis, original character from Freezing. Drawn with PaintTool SAI in 2011. 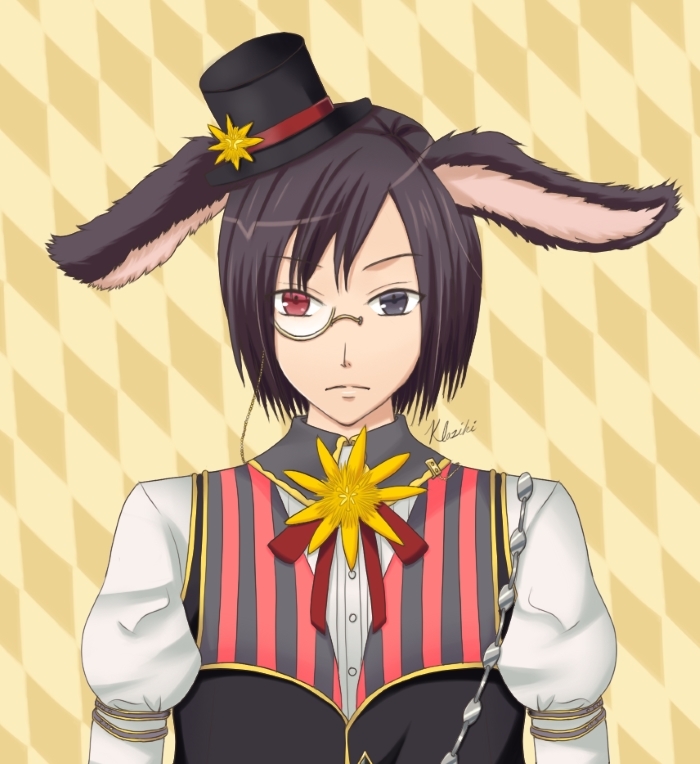 Pierce Villiers from QuinRose's Alice in the Country of Clover. Drawn with PaintTool SAI in 2011. Tsuki, original character from October Children. Drawn with PaintTool SAI in 2011. 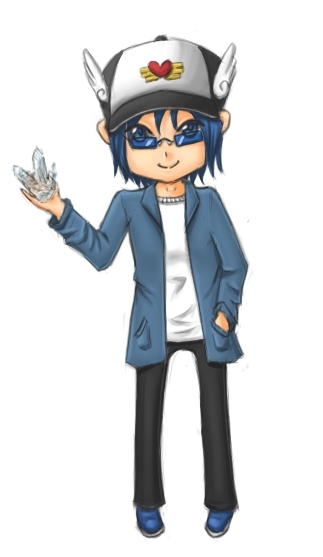 Hatil, original character from Freezing. Drawn with PaintTool SAI in 2011. 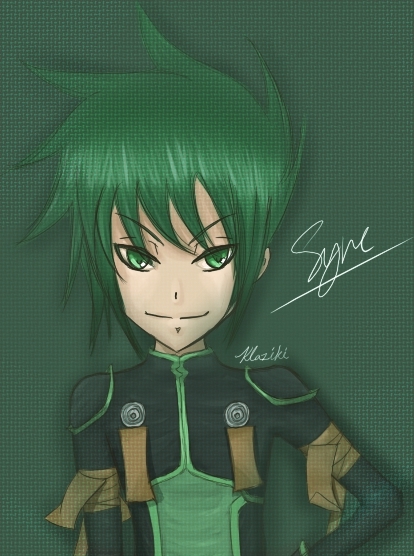 Sync from Namco's Tales of the Abyss. Drawn with PaintTool SAI in 2011. 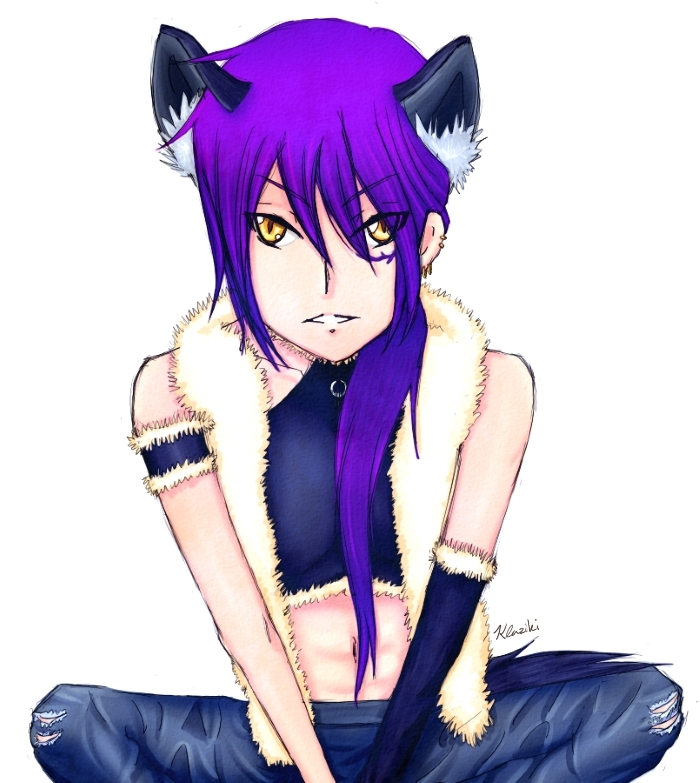 Kaeun, original character from Freezing in a Halloween werewolf costume. Drawn with PaintTool SAI in 2011. 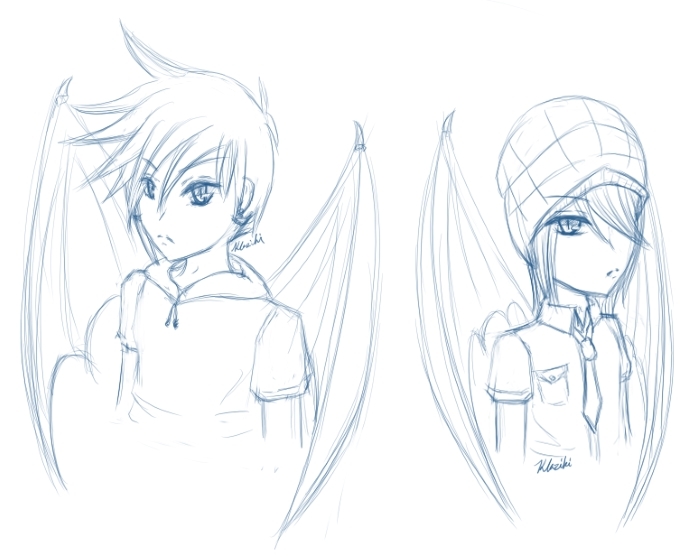 Saik and Reiya, original characters from Demonic Wings/Scarlet Chains. Drawn with PaintTool SAI in 2011. 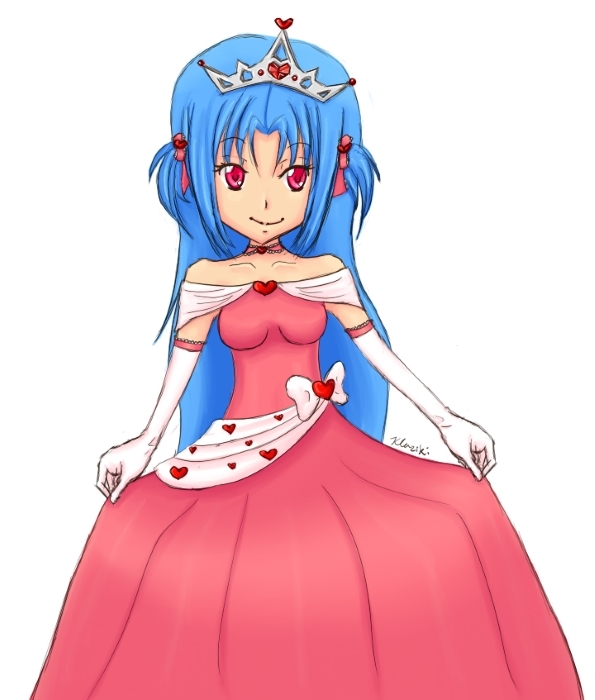 Luana, original character from Freezing in a Halloween princess costume. Drawn with PaintTool SAI in 2011. 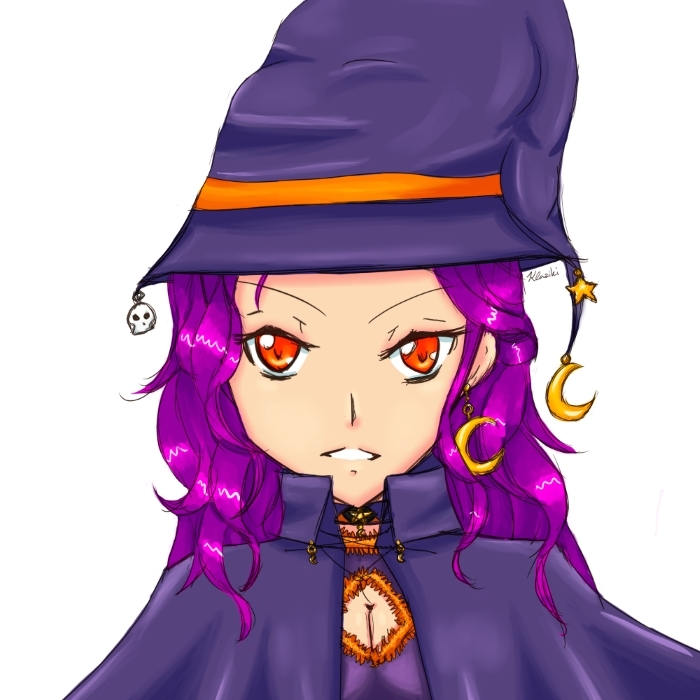 Jessica, original character from Freezing in a Halloween witch costume. Drawn with PaintTool SAI in 2011. 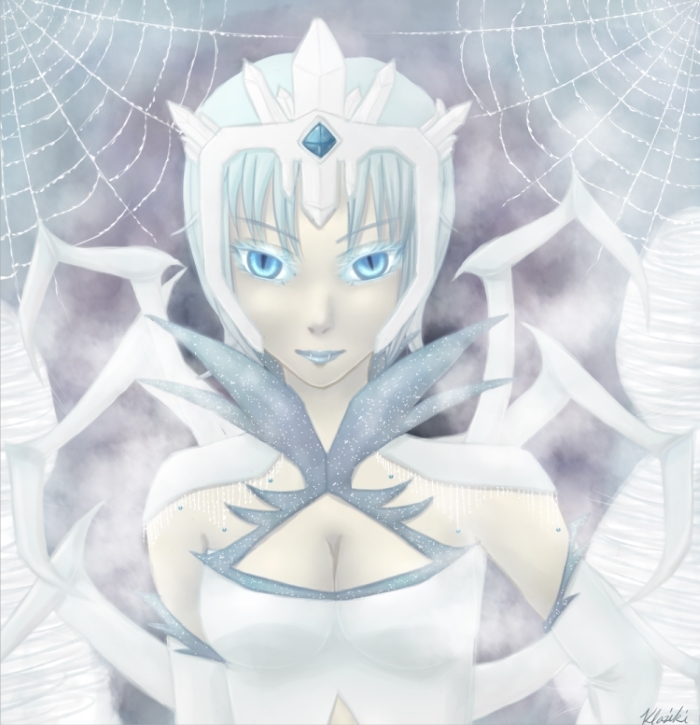 Tristis, original character from Freezing. Drawn with PaintTool SAI in 2011. 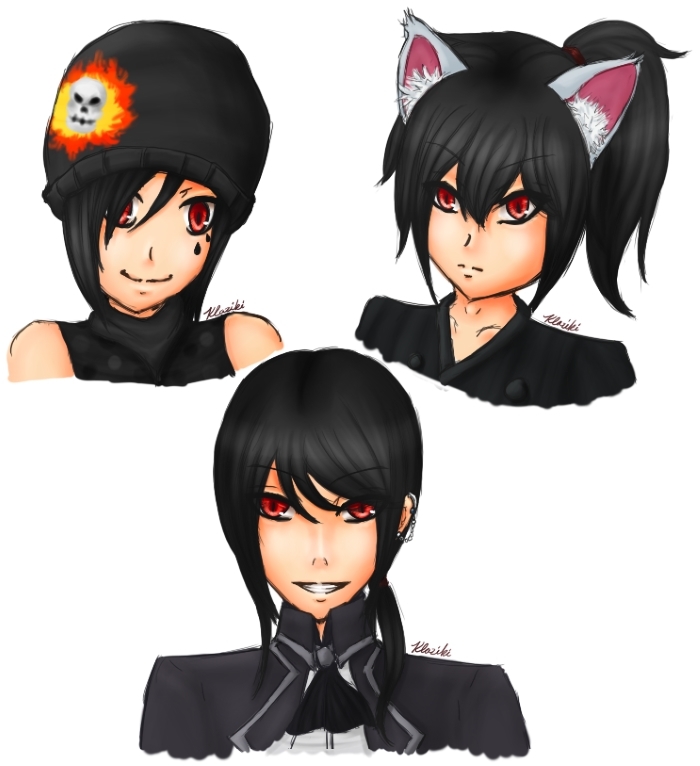 Kaeun, original character from Freezing. Drawn with PaintTool SAI in 2011. 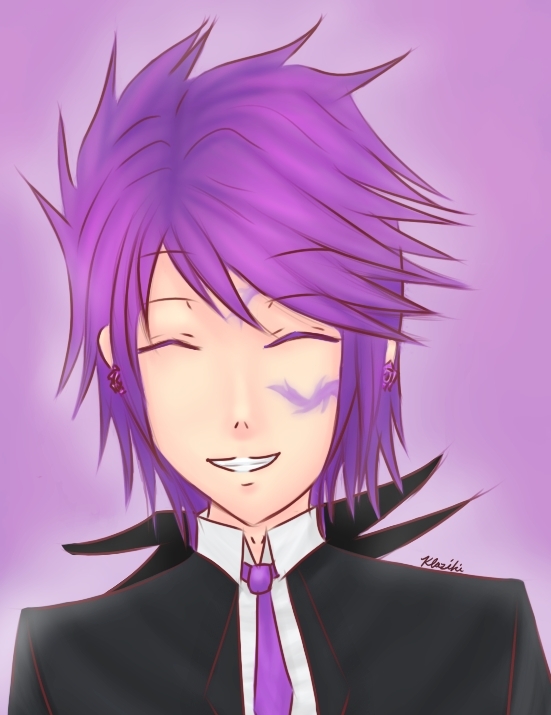 Tsuki, original character from October Children. 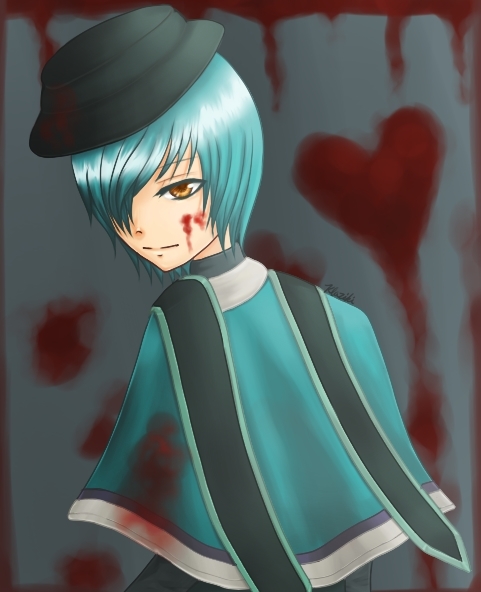 Drawn with PaintTool SAI in 2010. Hoshi, original character from October Children. Drawn with PaintTool SAI in 2010. 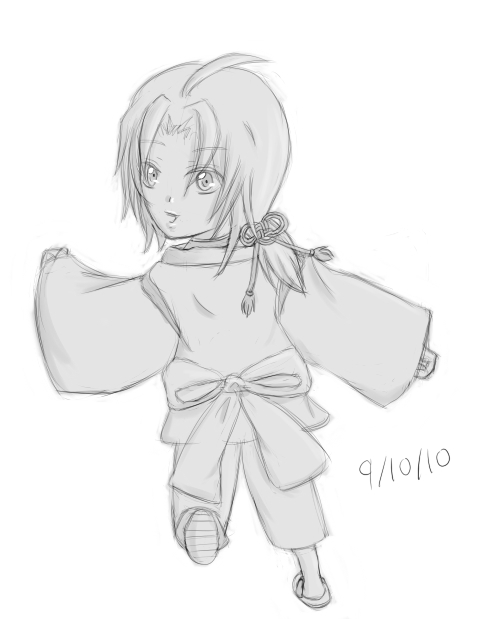 Mimori from Omamori no Kami-sama in his small form. Drawn with PaintTool SAI in 2010. 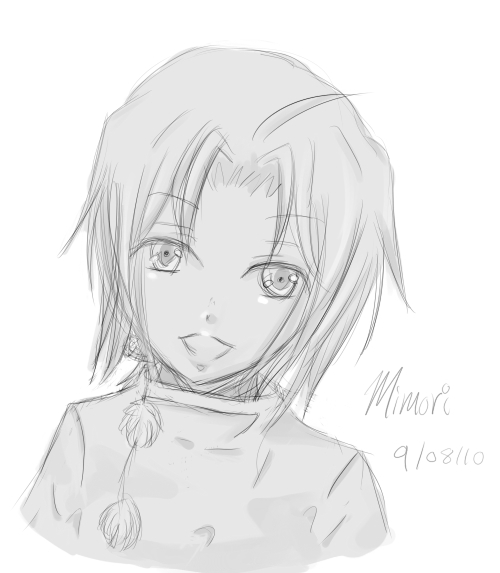 Mimori from Omamori no Kami-sama. Drawn with PaintTool SAI in 2010.